1920 Depot Hack - The original purpose of this vehicle was to transport visitors from the train depot to the local hotel or boarding house. 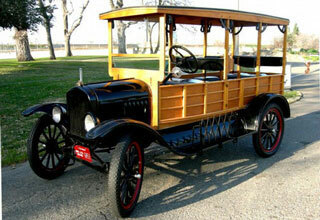 Now days you might see this vehicle in local parades and at various school events. Original Model T Ford transmission. Only two speeds; low and high. We are currently rebuilding the 4 cylinder Ford engine. 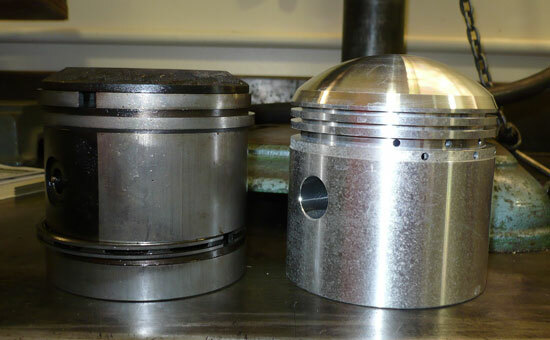 These new pistons have a dome top. This will give us higher compression. 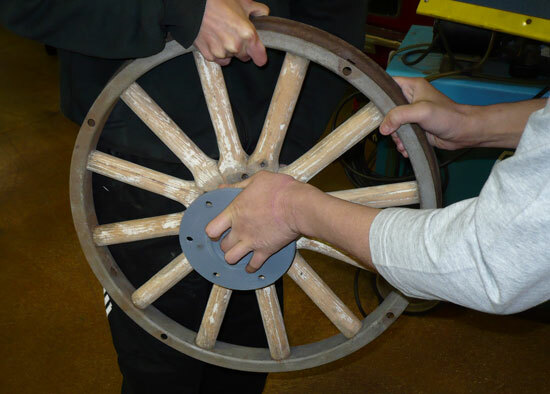 The Model T came with wheels made out of wood. Frank and Shaw work to line up the hubs. 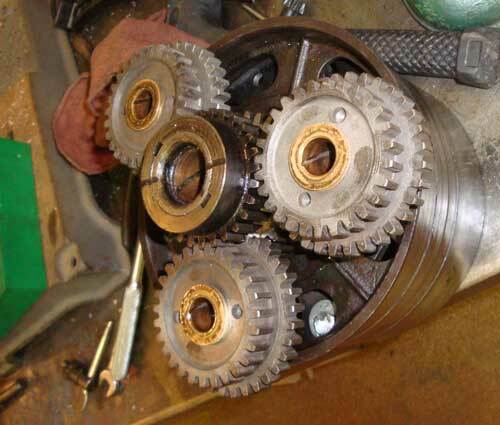 We rebuilt the planetary gear transmission.